UPDATE 3 : March 31, 1:20 p.m.
A 25-year-old male was stand-up paddle boarding approximately 100 to 150 yards off shore when he sustained injuries from a suspected shark attack. Upon EMS arrival at 9:45 a.m., the victim was being treated by bystanders with multiple tourniquets to his right side extremities due to extensive injuries from a suspected shark attack. The victim was then transported by Aeromedical Helicopter to a local hospital in critical condition where he is currently being treated. 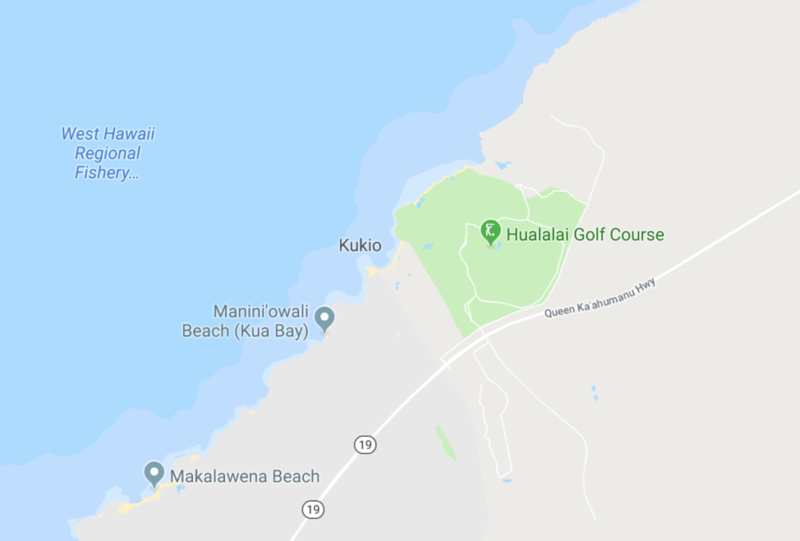 UPDATE 2: March 31, 12:35 p.m.
At about 9:30 this morning, the DLNR Division of Aquatic Resources was notified by the Hawai‘i County Fire Department of a shark incident near Kikaua Point fronting Kukio Resort. A 25-year-old man was taken by HFD helicopter to North Hawai‘i hospital with multiple injuries to his hand and leg. Standard procedure is for beach closure signs to warn ocean goers for one mile on either side of the incident until noon the next day. A decision will be made to reopen beaches based on observations tomorrow morning. UPDATE 1: March 31, 12:12 p.m. According to an unofficial report, a father and son were paddle boarding together when a shark bumped the son off his board, bit him, and proceeded to go after the father. ORIGINAL POST: March 31, 2018, 11:31 a.m. The Hawai‘i Fire Department reported a shark attack on Saturday, March 31, 2018, at 11 a.m.. The attack occurred at Kukio Beach on the Kona Coast near Hualalai. Public beach access in this area is closed and will remain closed today.